The annual North Hudson Pepper Fest is Friday, Saturday and Sunday at the Pepper Fest Park near the North Hudson Village Hall. 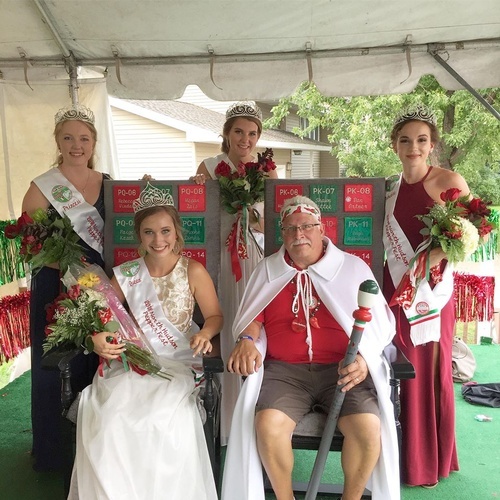 Highlights of the fest include: grand parade on Saturday, queen coronation on Sunday, Royalty spaghetti eating contest, championship spaghetti eating contest, hot pepper eating contest, one-mile, 5K run and 10K runs, as well as bingo and other contests. Dancing each night with feature bands. Check back for a complete list of 2018 Events! Button purchase required for admission to the festival.